R.S.V.P. here by Wednesday, August 8. For more information contact Nicole Piampiano, 631.632.4197. R.S.V.P. here by Friday, August 3. 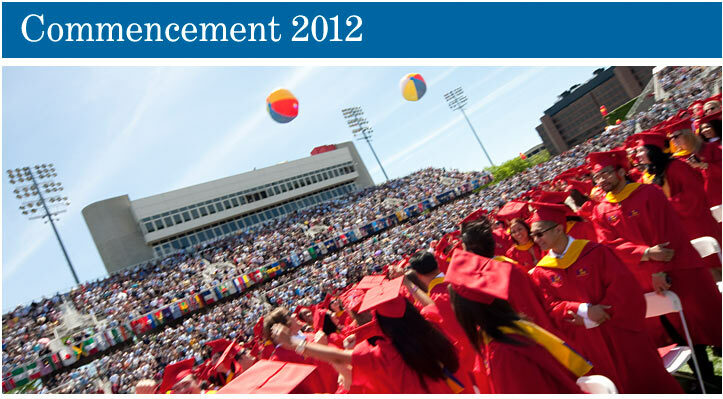 On Friday, May 18, 2012, Stony Brook will celebrate our 52nd Commencement. The main exercises will begin at 11:00 am in the Kenneth P. LaValle Stadium. Doctoral Graduation and Hooding Ceremony will be held on Thursday, May 17, at 2:00 pm in the Staller Center. Honorary doctorates will be granted to Glenn Dubin, Richard J. Gambino, Sister Margaret Ann Landry and James Salter.